Sometimes as a photographer or a model you have to go to extreme lengths to get the right shots. Bringing your vision to life can be challenging, but with results like these from photographer Leila Joy and model Imogen Caldwell, it’s clear that going the distance can pay off in a big, big way. 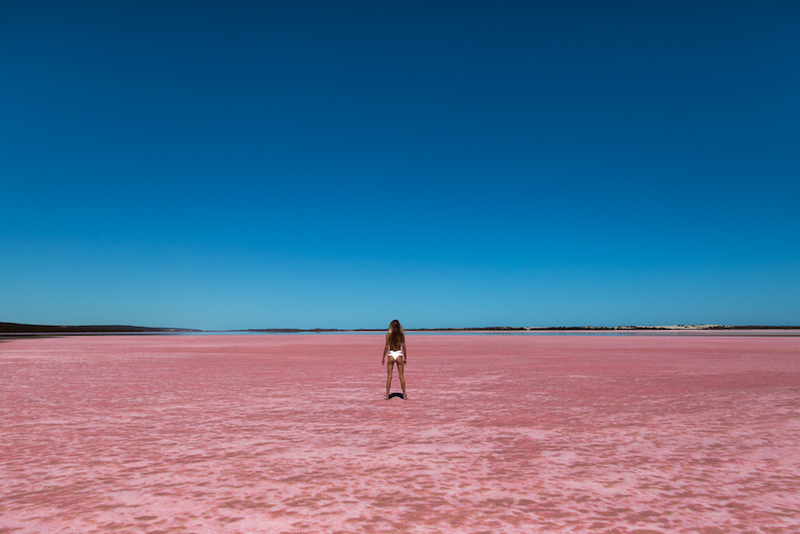 Heading out to a remote secret location in Western Australia that was discovered on Google Earth, the duo have produced one of the most colourful and visually enticing ‘Tuesday’ shoots in recent memory.